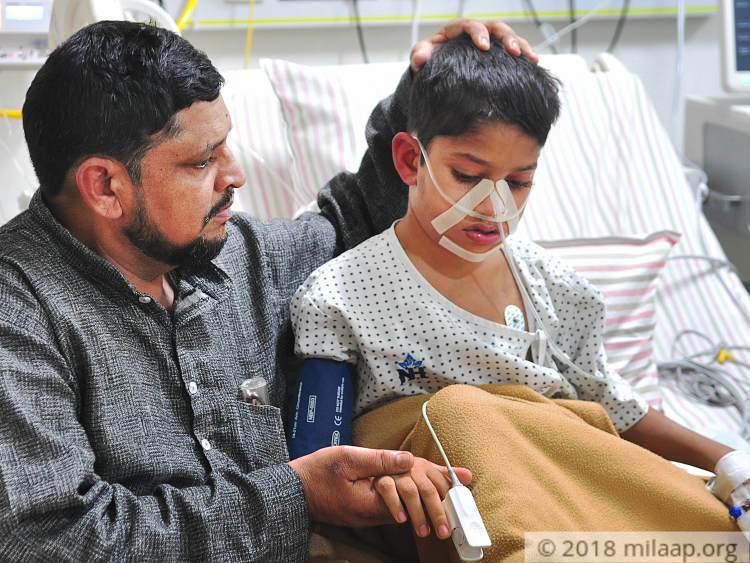 “Whenever we touch his neck, Shahnawaz howls in pain. His neck isn't shaped straight like us. It’s a terrible sight to see our son in such a bad condition. He can’t even eat his own food or walk to the bathroom by himself. Shahnawaz asks me why is he not like his siblings - why can't he sit a moment without pain. He has very little time to get a surgery and I don't know if I'll be able to save him,” Naphis, Shahnawaz’s father. 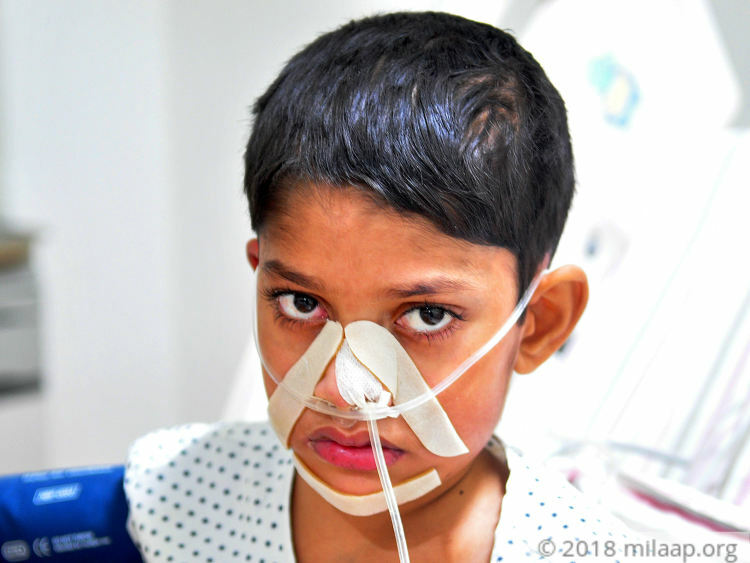 Naphis and Sara had noticed that Shahnawaz had an abnormal body posture since he was 2 years. But they didn’t have the money to go out of the city to take him to better doctors for a long time. 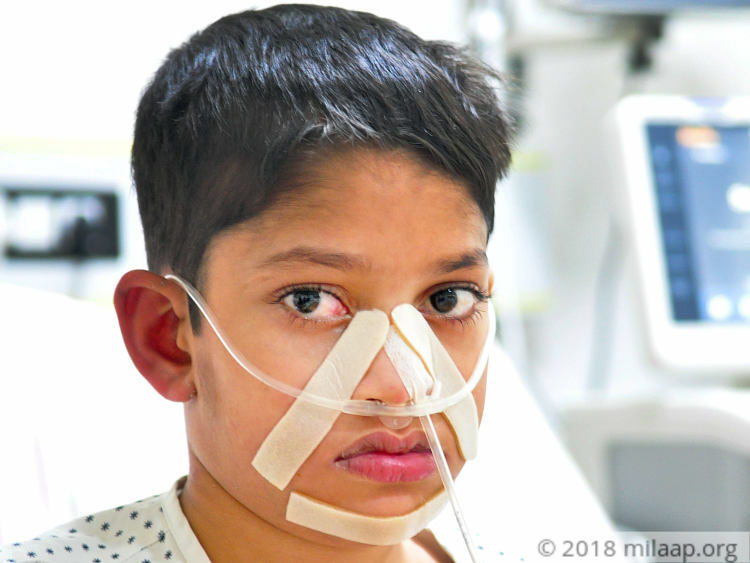 Shahnawaz has scoliosis, a condition in which the curve of the spinal cord is sideways. To add to this, he also has a recurring lung infection. If his lung infection doesn't get better soon, a part of his lungs might have to be removed. The infection is spreading very fast and the condition of his spine is deteriorating rapidly. Naphis has always wanted to send his kids to school. Young Shahnawaz has never seen a school because of his problem. He wants to go to school and run about like other children his age, but that has not happened yet. His parents have been educating him at home all this while. Naphis is a small farmer in Allahabad. He doesn’t even have a farm of his own. He manages to bring home the crops that he cultivates. Sometimes Naphis sells from his own stock to get a little money for other needs. He doesn’t even know what will happen if no one helps him. 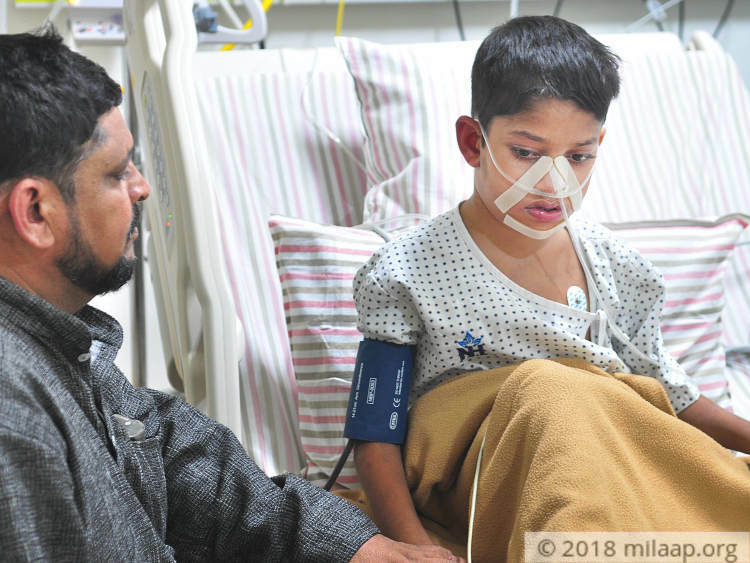 12-year-old Shahnawaz has scoliosis, a defect in the spinal cord. 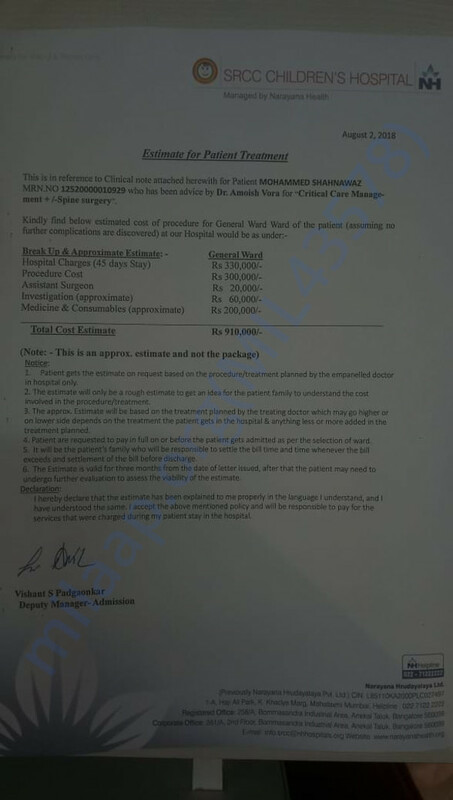 If he doesn't get this surgery done soon, his lungs can be damaged badly and can kill him. 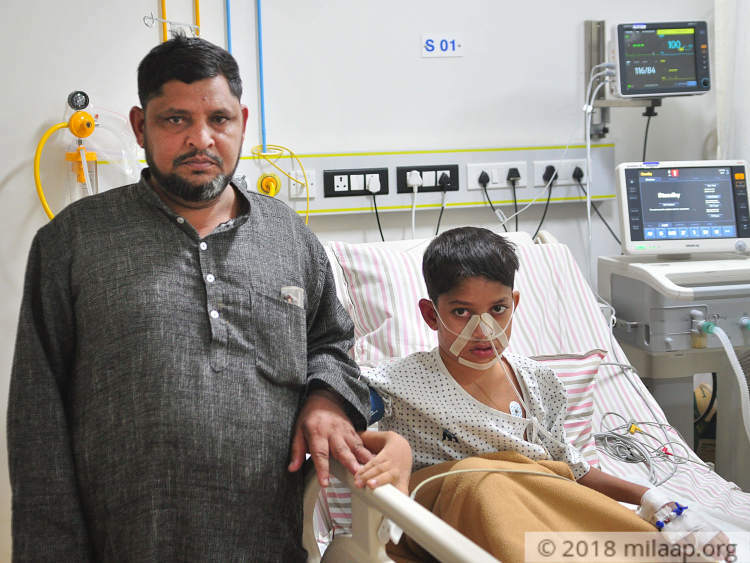 The cost required to save him now is Rs 9.1 lakhs and his father is in no position to afford his treatment. Thank you for the love and support you have shown towards my son Shahnawaz. He is in stable condition, however, he has become weak for which doctors have suggested a diet plan. He needs to gain weight, so that he can undergo the surgery, to minimize the post-surgery complications. Please keep praying for his health and speedy recovery.